Most educators agree: Not every child learns the same. While some students flourish with hands-on experiences, others love burying their noses in a book. Some students master the art of leadership in group settings, while others develop the most when they work alone. Sometimes, parents find, a traditional school setting doesn’t work. That’s why some parents are turning to home-based educations that give them the flexibility to educate their children at their own pace and with a variety of subjects. In Pennsylvania, the growing trend of homeschooling and cyber charter schools allows parents to have a greater hand in their child’s education. Christine Savicky, a homeschool evaluator in East Hempfield Township, Lancaster County, has seen how students can grow under the flexibility of a home education. The state requires homeschool students to visit a certified evaluator at the end of each school year to determine if the student is meeting state requirements. Evaluators review samples of schoolwork and make sure students have completed the required 180 days of school for the year. Savicky was a graduate student when she started researching homeschooling. In 1997, she started her Knowledge is Power tutoring program, where she helped with specific class work for many students, including homeschoolers. In 2005, Savicky gave up the tutoring business and has been an evaluator ever since. “I was always a big believer that school is not just one-stop shopping,” Savicky said. Even her own daughters, one a junior and one a freshman, attend different high schools based on their personal needs and where they feel most comfortable. Many parents start teaching at home for different reasons, Savicky said. 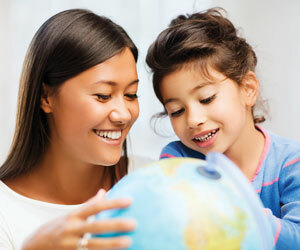 For some, they have religious beliefs they want to follow and include in their home teaching. For others, their children don’t “perform well in the left-brain society that is public school,” Savicky said. Some students are gifted and thrive in areas that public schools can’t accommodate. Savicky evaluates some children who learn statistics and physics at a college level, while others have written books or have unique athletic- or music-driven schedules. Homeschool parents only need a GED to teach in Pennsylvania, Savicky said. She finds many parents who might not be qualified in certain subjects do their part to find tutors or join homeschool co-ops. Co-op groups that meet throughout the year help supplement home learning, either with group classes, such as choir and gym, or specialized subjects, such as foreign languages or science. 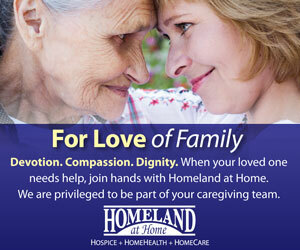 Many of the classes are taught by mothers who are well versed in those topics. Savicky encourages new homeschool parents to be very organized and research the law and their school district requirements. Pennsylvania Homeschoolers is an organization she recommends for learning about available resources. For other parents, a home education is appealing, but homeschooling isn’t their first choice. In that case, cyber charter schools are becoming a popular option. 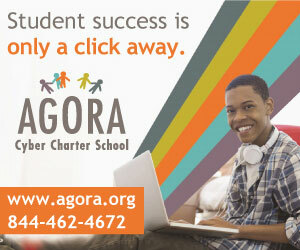 Founded in 2000, The Pennsylvania Cyber Charter School is based in Beaver County and operates as a public school. Instead of going to a traditional school down the road, children learn at home with the help of Pennsylvania Certified Teachers. The cyber school serves children in kindergarten through 12th grade and is one of the largest online public schools in the nation. A rolling enrollment period means any student can start cyber school at any time. And because it’s a public school, the program is funded through taxpayer dollars, so parents don’t have to pay enrollment fees. PA Cyber has several delivery methods for the curriculum, according to Jill Valentine, director of admissions and marketing. Students can learn in a virtual classroom with a traditional school schedule and about 20 other students in a Web platform. Students also can learn through blended classrooms, where they meet with a teacher once a week to work through particular subjects. When students aren’t in the virtual classroom, they’re at home doing homework and being supervised by parents, Valentine said. Regional offices throughout the state also offer enrichment activities, such as art and music classes, as well as clubs similar to brick-and-mortar schools, such as a newspaper and photography. “The regional offices give students an outlet if they are looking for more interaction with classmates and want to meet in a social setting,” Valentine said. Students also come together for state testing, such as the Keystones. Because PA Cyber is a public school, students are required to meet the same standards as their peers in the school districts. Students who enter cyber school come from different backgrounds, Valentine said. Some experienced social issues or bullying in other schools and want to focus on their academics without those distractions. Others are looking for opportunities to accelerate or sign up for challenging courses that traditional schools can’t always offer, she said. In the 13 years Valentine has worked for PA Cyber, she’s seen the evolution of the program, particularly with curriculum. As Pennsylvania standards change, she said, PA Cyber has kept up with the demands while still offering programs that are customizable to individual students.